Announcing the all new "Monthly Stuff" Podcast! Episode #1 - 2011 Top-Ten Lists Galore! Subscribe in iTunes for free! It’s the tenth of the month, and you know what that means….Podcast time!!! 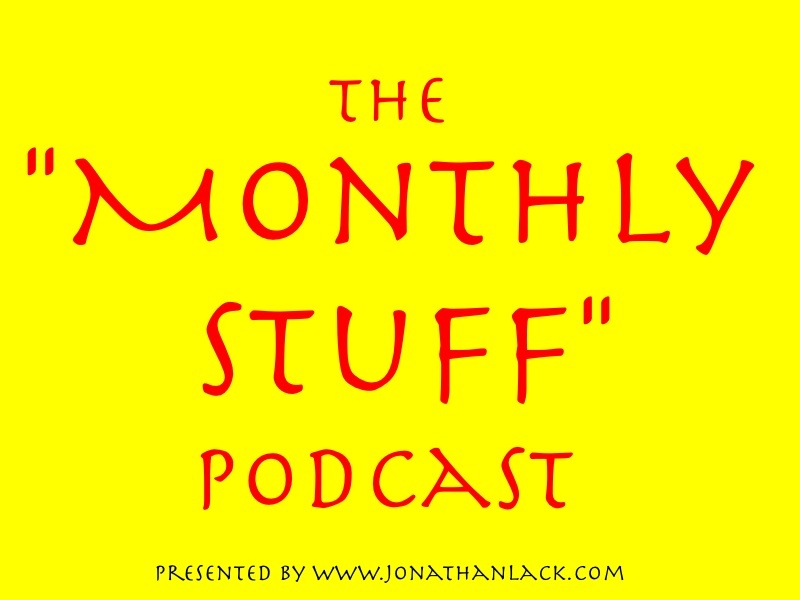 If you enjoyed the “Monthly Ten,” where my friend Sean Chapman and I counted down the top ten something’s of a given topic each month, then you’ll love The “Monthly Stuff.” It’s pretty much the exact same podcast. It’s still hosted by myself and Mr. Chapman, we still talk (at length) about a given topic every month, and the show will continue to come out on or around the tenth of each month. So don’t worry. Nothing major is changing. You can listen to the first episode of the “Monthly Stuff” podcast by clicking here! Just click here to access the iTunes page for the new podcast! See? Simple (and as a sidebar, I am also trying to get the Podcast into Zune Marketplace, but they are much more difficult than iTunes). On the inaugural edition of the “Monthly Stuff,” Sean and I discuss 2011 in review, with four different ranked lists exploring the best in Video Games, film, TV, and more! We sincerely hope you enjoyed the new, improved podcast experience, and we’ll see you in a few weeks with the next episode! NOTE: The “Monthly Stuff” Podcast is tagged as ‘explicit’ in iTunes due to adult language. If you are adverse to the F-word or listen to podcasts with young children, this isn’t the show for you.